I tried two different types of shading in the study below. The blues vary from very dark to light blue by adding titanium white. I used very little water in creating the transition. On the other hand, I laid down a watery yellow and added red at the blue border to generate an orange color that gradually fades. 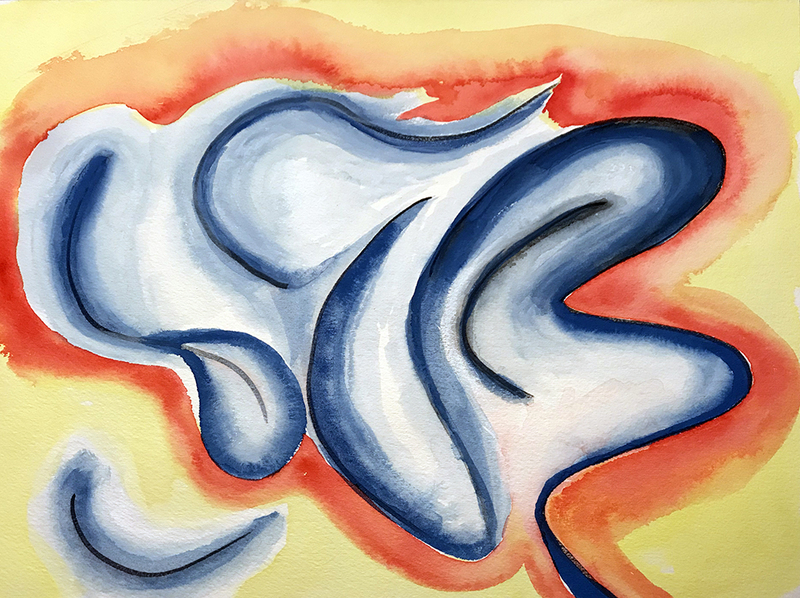 This entry was posted in Personal Stories and tagged abstract art, abstract painting, artistic process, borders, color blending, creativity, gradation, painting, visual arts, watercolor. Bookmark the permalink. Thank you so much, Volpina.